At Bates, we often try to imagine the college 25 or 50 years out. What Bates looks like in the future is at least partially revealed each time we hire a new faculty member. Today’s new recruit may teach at Bates through 2050 or beyond. Our ability to peer into the future is especially sharp this year because we recently hired nine tenure-track faculty members who will make an impact on the curriculum and on scholarship across all of our intellectual divisions — that is, in the humanities, natural sciences and mathematics, social sciences, and interdisciplinary programs. Carolina González Valencia is a great example of a new faculty colleague whose impact will likely be felt early and consequentially. She’s an expert in digital media and drawing. Her interest in areas like representations of migration, identity, and “nationlessness,” and her ability to teach students to inscribe their own understanding of these issues on paper, canvas, and film, will add major new intellectual thrusts to the work of the Department of Art and Visual Culture. She is also the first Mellon Diversity and Faculty Renewal Postdoctoral Fellow at Bates. In her first year, she enjoys the advantages of a postdoctoral fellowship before converting, automatically, into a tenure-track assistant professorship in 2017–18. Patrick Otim is the second of our two new postdoc fellows. A historian, his expertise is in 19th- and 20th-century East Africa, focusing on intellectual history in the pre-colonial era. We talk about “a college for coming times” in our mission statement, but Carolina’s and Patrick’s backgrounds, experiences, and expertise illustrate that the coming times are already here. Patrick is joined in the history department by Wes Chaney, who adds breadth and depth to our increasingly strong social, historical, and humanistic perspectives on China. Wes’ work is at the intersection of the environment, society, and the law in China during the Qing Empire (1644–1911) with a special interest in historical China’s border areas. Wes has an instant community of fellow intellectual travelers since he comes on board at Bates at the same time that Mia Liu and Nathan Faries begin their shared assistant professorship in Asian studies. Mia is a history, art, and visual culture expert, focusing on China. Nathan’s research considers religion, particularly Christianity, in Chinese literature in the contemporary context. Both Mia and Nathan teach Chinese language and culture courses. The trend of faculty renewal is boldly evident in the natural sciences, too. 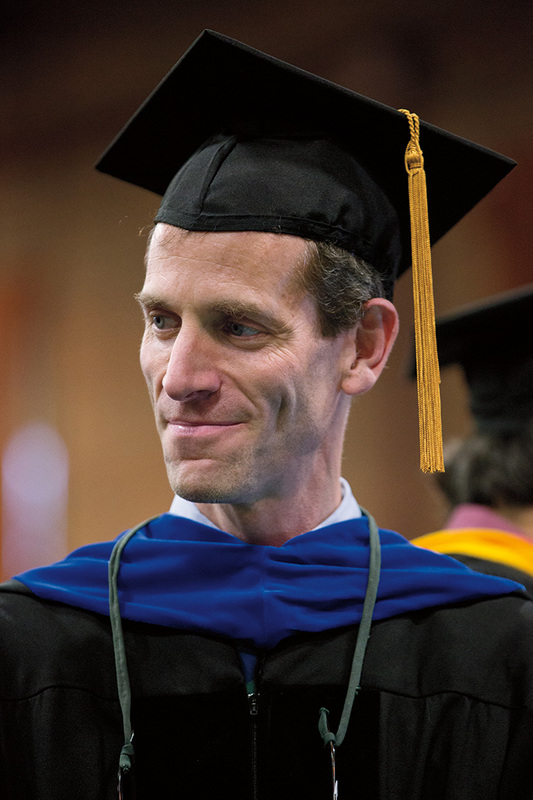 Andrew Kennedy, an organic chemist whose work has neurobiological and medicinal applications, is fortifying connections between our department of chemistry and our program in neuroscience. Kennedy is already a major force nationally in understanding cognitive dimensions of a rare, genetic disorder called Pitt-Hopkins Syndrome. Andrew Mountcastle, a new assistant professor in biology, is exploring the boundaries between physics and anatomy in living creatures, particularly insects. His students can expect to learn everything about the secrets of insect flight, from biomechanical, locomotive, and physiological perspectives. The trend of faculty renewal is boldly evident in the natural sciences, too. Two new assistant professors in the Department of Physics and Astronomy are helping to boost Bates to a new level of computing capability. Jeff Oishi is a computational astrophysicist whose specialty is fluid dynamics and whose laboratory is the cosmos, as he studies solar magnetism. His new colleague, Aleksandar Diamond-Stanic, uses supercomputers to understand the structure and behavior of supermassive black holes. 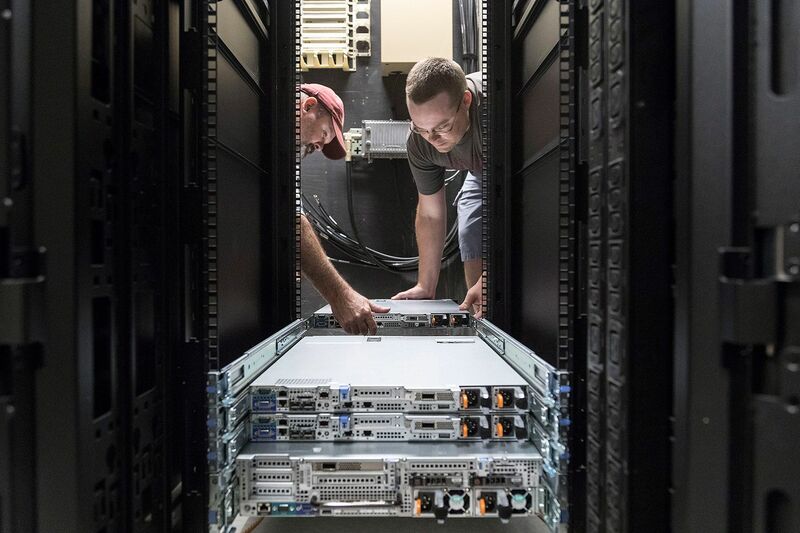 With Oishi taking the lead, Bates is now installing its first High Performance Computing system — a scalable computer cluster that, for example, will allow the astrophysicists to crunch data-rich imagery from the Hubble Space Telescope. This increase in the size and sophistication of the college’s supercomputing resources will continue in dramatic fashion as the college makes hires in the new Digital and Computational Studies program this year, and next. Watch the ‘power of Bates science’ rocket into space Monday morning at 4:39 a.m.